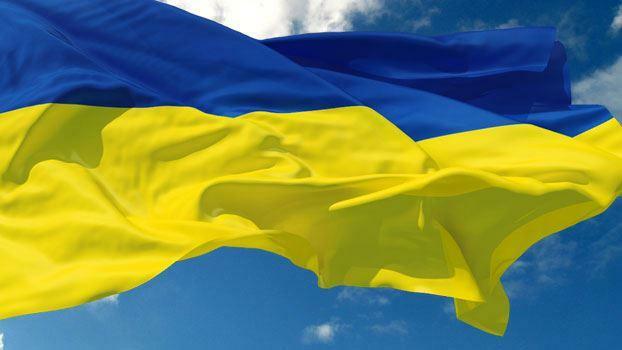 Ukrainian visa Visa Ukraine Visa Requirements In order to receive “Invitation to Study” the student should provide the good quality SCANS of following documents • International Passport Travelling document data page with photograph on it. Full Name of student and Serial Number of Passport should be clearly VISIBLE. The validity of Passport not less than next 1 year • Educational Documents O level/ SSCE/ HSSC, Bachelor or Master Degree if available • Application Form filled in capital letters click here to download Application Form Ukrainian Universities start to issue “Invitation to Study” by March/ April every year. We accept Applications to Study in Ukrainians Universities from month of January for September intake. We secure “Invitation to Study” for students who apply through us earlier and issue their “Invitation to Study” from chosen/ recommended Universities respectively. The Universities keep issuing the “Invitation to Study” letters from March/ April to November (mostly extended to December). After March/ April, it takes between 7 working days to issue an “Invitation to Study” letter from a chosen/ recommended University. British Visa Visa Britain Visa Requirements Nationals from many countries are required to obtain an entry visa or certificate before coming to the UK. They can do this at the British Embassy, High Commission or Consulate. Nationals from countries where an entry visa is not compulsory such as some Commonwealth countries should also consider applying for entry clearance before leaving home. This is to ensure a Right of Appeal in the unlikely event that entry is refused. To check if you need a visa look at the Foreign and Commonwealth Office web page at http://www.fco.gov.uk/travel/imm_visa.asp To come to the UK as a student you will have to produce the following documents A passport A letter of unconditional acceptance for a full-time course Evidence of your ability to meet, without working in the UK, the costs of your course, accommodation and maintenance and to support any dependents accompanying you. Student visas are normally granted for an initial period of one year, usually determined by the length of the course to be studied. When you arrive in the UK, an immigration officer may question you, so take all relevant documents in your hand luggage. You may take part-time or holiday work but you must not: work for more than 20 hours per week during term time unless your placement is part of your studies, has the agreement of your education institution and leads to a degree or qualification awarded by a nationally recognised examining body do business, be self-employed or provide services as a professional sportsperson or entertainer work full-time in a permanent job. Visa Requirements in Canada Canadian Visa The Student visa allows students to study in Canada either at a primary, secondary, or post-secondary institution, or in a vocational or professional capacity. You can study for a maximum of 6 months with a Visitor's Visa. You do not need a Study Permit (student visa) if you are planning to take a course or program in Canada with a duration of six months or less. You need to complete application kit to the immigration section of the Canadian Embassy. Please note that all the documents submitted, must be either original or photocopies notarized and witnessed by a notary public or a magistrate or the Canadian Immigration Officer, and be accompanied by a duplicate copy Documents Needed.. Here are some of them: A valid passport A Letter of Acceptance from University/School Proof that you have enough money to support yourself for your entire stay in Canada. A medical clearance if required by immigration A letter from your employer or sponsoring organization if you are being sponsored CAN $125 for the application fee .. (please check the latest fees) Following documents are highly recommended IELTS test results taken within last 24 months with overall band not less than 6.0 Copy of an Educational Loan from Bank equivalent to at least 80% of tuition +living + travel expenses for one academic year (normally, first year’s tuition unless already paid, plus $8000). Visa Requirements in Spain Spanish Visa Visa Spanish STUDENTS VISAS Foreigners coming to Spain with the only purpose of studying or undertaking research, training or a non-lucrative job in any Spanish educational or scientific, public or private, officially recognized centre. Foreign students who want to carry out studies in Spain, must apply for the corresponding visa at the Diplomatic or Consular Offices before their arrival. Evidence of previous studies must be supplied. Nationalities that do not need a visa for stays of less than 90 days, do not need a student's visa if their stay does not exceed this time. NEED FOR STUDENT VISA Once they are in Spain, foreign students must apply for an authorization to stay during the specified time, at the Foreign Office or Police Station. WHERE TO APPLY At the local Foreign Office or Police Station. Visa Requirements in France French Visa 3 very important pieces of advice : A tourist visa cannot be converted into a student visa in France or in any other country of the European Union. If you plan to complete two programs in succession (such as a program in French as a foreign language, followed by an academic program), obtain admission to both programs before applying for your visa so that your visa will be valid for the duration of your period of study. French visas can not be extended in France. International students of all nationalities (except European Union nationals) residing in France for more than 3 months must obtain a student residency permit (which is distinct from a visa), within two months of their arrival in France. Complying with legal requirements once in France .As soon as you arrive in France, you'll want to take two important steps to comply with French immigration regulations. The sooner you get these formalities out of the way, the smoother and more pleasant your stay will be. Report to your new university or school and register for classes Apply for a student residency permit (if you will be staying for longer than 3 months) Pay close attention to the documents that you will have to present. Originals are often required. Report to your new institution and register for classes All students must report and register each year. The procedure is the same in all universities. In nonuniversity institutions of higher education it differs from institution to institution. Visa Requirements Chinese Visa Document Preparation (1) Original passport which has not less than 6 (SIX) months left before it expires from the date of application and sufficient blank visa pages. (2) One completed Visa Application Form ( Form V.2011A - عربي ) ( Form V.2011A - English ) with a recently-taken passport photo stuck on it; all the items on the application form should be completed neatly with genuine information; if the applicant has a Chinese name, the Chinese name should be filled in; false or incomplete information and illegible characters may lead to refusal of a visa. * For Work visa (Z-visa) applicant, Student visa (X-visa) applicant, infant or kid who traveling sharing the same passport, please fill-up an extra form, Supplementary Visa Application Form ( Form V.2011B - عربي ) ( Form V.2011B - English ) NOTE: All versions of old Chinese visa application form (non V2011A & V2011B) is not longer used and accepted for Chinese visa application. (3) In addition to the above-mentioned documents, applicants applying for a student visa should also provide: (a) Visa Application for Study in China (Form JW-201 or Form JW-202, original and copy) ; and (b) Admission Notice (original and copy) ; and (c) Physical Examination Record for Foreigner (Download/ PDF). 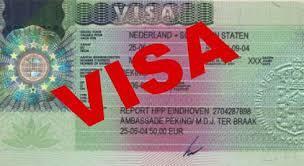 (4) Accompanying family dependents of personnel studying in China should apply for an L-visa. In order to apply for an L-visa, he or she needs to provide proof of kinship, e.g. marriage certificate, family card, birth certificate, etc., and copy of the student’s X-visa as well as Residence Permit. Visa Requirements in Germany Three Types of Visa for International Students A language course visa, which cannot be subsequently converted into a student visa. It is valid only for the duration of the course. A three-month study applicant's visa, which is valid if you have not yet obtained university admission. After admission, it must be converted as quickly as possible into a resident permit for student purposes at the office for foreigner's affairs. 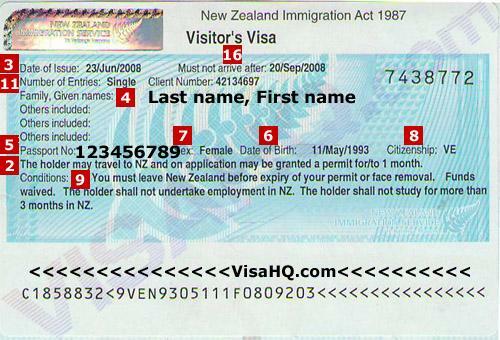 The visa for study purposes, valid for one year. 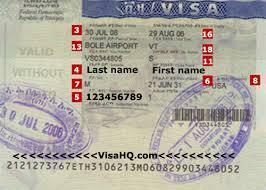 In order to obtain this visa, you must provide proof of admission and financial support for the duration of study. Anational Visa (student visa) is issued for stays lasting longer than three months (for example,to study a full programme). The Schengen Visa is issued for a short stay (for example, tourism, participation in a summer language course) of up to three months per half-yearly period) Documents Required for German student visa A valid passport Passport size photos Entitlement to university admission, as recognized in Germany (usually a high school diploma or graduation examination certificate) Evidence of previous academic performance Proof that complete financial support for one year is guaranteed The visa application is submitted at the German embassy or the German Consulate in your country of residence.Try to submit it as early as possible. German embassy or consulate personnel can provide further information. 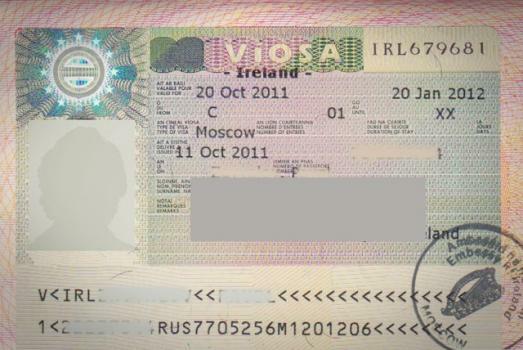 Irish Visa Ireland Visa Visa Requirements Visa applicants must apply online for their visa - '. 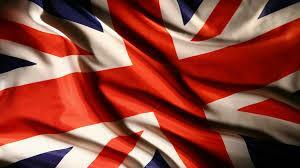 If you wish to study in Ireland for less than 3 months you should apply for a 'C study visa'. If your course lasts longer than 3 months, you should apply for a 'D study visa'. Generally speaking, the duration of a 'C study visa', is not extended once you have arrived in Ireland. Extensions will be granted in exceptional cases only. It's very important, therefore, to make sure you know the duration of your course before you apply for a visa. Further information on how to apply to extend a student visa is under 'How to apply' below. You will need to provide the following with your visa application. (Please remember, original documents are required and must be in English or accompanied by a notarised translation): Letter of acceptance from a recognised school/college/university in Ireland confirming that you have been accepted on a course of study. This course of study must be full-time (lasting an academic year) and have a minimum of 15 hours per week study time. Evidence of your academic ability to pursue the chosen course through the English language (unless it is an English language course). Evidence that the fees for the course have been paid in full. Evidence that you have enough funds (€7,000) to maintain yourself for the initial part of your stay. Evidence that you or a sponsor have access to at least €7,000 for each subsequent year of your studies, in addition to the course fees for each of those years. Evidence that you have private medical insurance An explanation of any gaps in your educational history Confirmation that you intend to return to your country of permanent residence when you leave Ireland. Visa Requirements in Australia Australian Visa If you intend to study for more than 3 months, you must apply for a Student visa. You can be granted a student visa only if you wish to undertake a registered course or part of a registered course on a full-time basis. A registered course is an education or training course offered by an Australian education provider who is registered with the Australian Government to offer courses to overseas students.Depending on your country of nationality and your principal course of study you may have to undergo a Pre-Visa Assessment (PVA) before an Electronic Confirmation of Enrolment (eCoE) is issued by your Australian education provider. Requirements Financial Ability For Masters and Doctorate Courses .Sponsors must provide evidence of cash assets for the first year tuition fee (as on the letter of offer) and living expenses (assumed at A $12000 p.a.) and access to additional funds (from acceptable sources) to meet the cost of the remainder of study and stay in Australia. 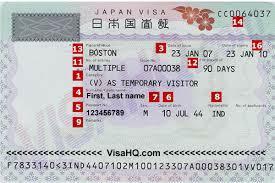 Visa Requirements in Visa Japan Visa Japanese visa Temporary visitors are not allowed to engage in any paid activities. Short term studies at Japanese language schools are permitted. Travelers, who change airplanes or ships in Japan, may be eligible for a transit visa, which allows them to enter Japan for up to 15 days for sightseeing purposes, before proceeding to their final destination outside of Japan. All foreign tourists in Japan are required to carry their passports with them at all times. 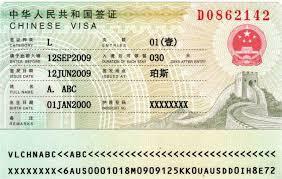 Student Visa All other foreign student in Japan need a student visa in order to study in Japan. Visa applicants require an educational institution as their sponsor in order to obtain a student visa. Student visa holders are not allowed to engage in any paid activities, unless they get the permission of the school and the immigration office. Even then, students may work only a set maximum number of hours per week. Working on a tourist visa is prohibited. 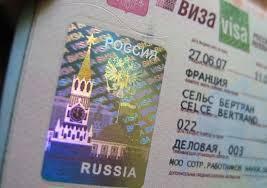 Visa Requirements in Russia Getting a Student Russian Visa This type of visa is issued only for students, who come to Russia for study programs or enrolling on a course to a Russian university / school. This is the best kind of visa in terms of flexibility, but you can only get it if you applied to a Russian university, school or an institution and will study there. Studying in a university: If you are thinking about doing an exchange with one of the Russian universities (also known as "visiting scholars" or "stazhirovka" in Russian), you will need to submit your data to the university and the "foreign department" of the university will take care of all the formalities. They will submit all your data to the immigration officials and have your student invitation ready in about 2 to 6 weeks (may take longer at MGU - Moscow State University). After that, the "foreign department" of the university where you will be studying will either send you the invitation by post, by fax, or send the invitation by telex directly to the consulate where you will apply for your visa and you'll just need to know the telex number when you apply. Usually, the student visa doesn't have a limited validity, it is extended all the time, depending on how long you study. Visa American How to get American visa The USA has the world’s largest international student population, with nearly 700,000 students choosing to broaden their education and life experience in the United States. Nearly 4% of all students enrolled in higher-level education are international students, and the numbers are growing. From the mid-1950’s, when international student enrollment was only just reaching 35,000, international education in the USA has come a long way. We look forward to helping students who, like you, are considering continuing your education in the United States. You will find all of the tools you need to compile your necessary research in deciding if the United States is the best place for you - we have gathered valuable information on educational, social, cultural and economic aspects of studying in the U.S.